"You can expect laughter, caring and love in our office that's dedicated to your best health!" 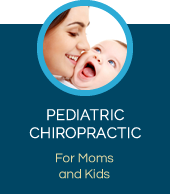 Gainesville chiropractor, Dr. Lisa Richter, opens her doors and heart to welcome you and your loved ones to her family practice. 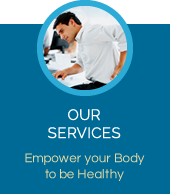 Her team at KLS Family Wellness will work to help you to look beyond pain relief and address the underlying cause of your discomfort. Doing so will allow your entire body to heal and function as it was designed. We want to be a place where you come first knowing you’ll be welcomed with open arms while you heal. 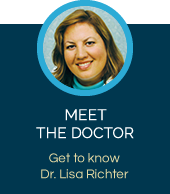 Dr. Lisa gives her patients hugs and displays a warm, friendly attitude so you’ll feel right at home. We’re a place of happiness, health and understanding, and we’d love to meet you and help your family next. With both children and grandchildren of her own, Dr. Lisa has a special place in her heart for pediatric care, especially children living with ADD, ADHD and autism. Her specialized care and positive outlook on life truly create an environment of healing and success. From the paint colors she chose to the children’s corner and a dedication to pregnancy and pediatric care, our practice was inspired to create a uniquely sensitive healing experience for your child. It is an experience that’s also filled with hope and laughter. Regardless of your diagnosis, you don’t have to carry around the label you’ve been given forever. From ADD to IBS and migraines, we see this as part of what you’re going through, not who you are. Our computerized Subluxation Station scan shows us precisely where your issue is so we can use our gentle chiropractic care to help you heal as effectively as possible. This way, you can just focus on being you. 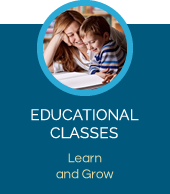 Visit us today and let’s begin a new chapter of your health together. Contact us today and let’s discover your brightest future! My herniated disc caused so much pain I was forced to use a wheelchair. Within six months of seeing Dr. Richter, I was walking again without even a walker or cane. When I first started coming to you, I was in almost constant pain. You have given me back my life. I loved telling those doctors that I would not be requiring surgery since you had managed to help me enjoy life again after they had told me that without surgery I would always be in pain. When I came to Dr. Lisa, I couldn't hardly walk and I limped like I was 100 years old. I had been to other doctors and even had shots in my back, but they didn't do any good. I couldn't sleep, stand or walk because of the pain. I never thought I'd get back to normal again. Now, I'm back to normal because of Dr. Lisa!